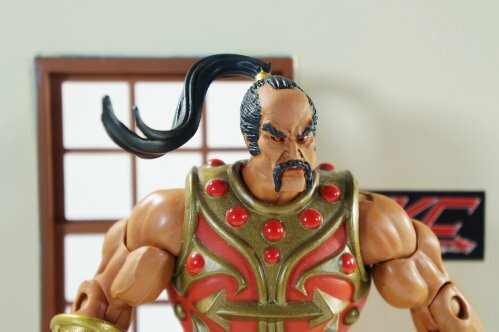 Custom Chinese warlord head sculpted for your 6.5 inch figures featuring an authentic modern look. The paint on the skin was carefully developed to match the color of the skin of the figure. The acclaimed Evil Warlord of the mountain in Modern style, finally made it here to Vip collector! This beautifully detailed head accessory is made by Hunter Knight customs and is compatible with every release of your 6.5 figures. This is an artist's rendittion, a fan made accessory not affiliated or endorsed by Mattel or any other company. JITSU figure IS NOT included, shown for reference purposes only. Visit Hunter's Website at: www.hunterknightonline.com. SHIPPING IS FREE IN THE USA.